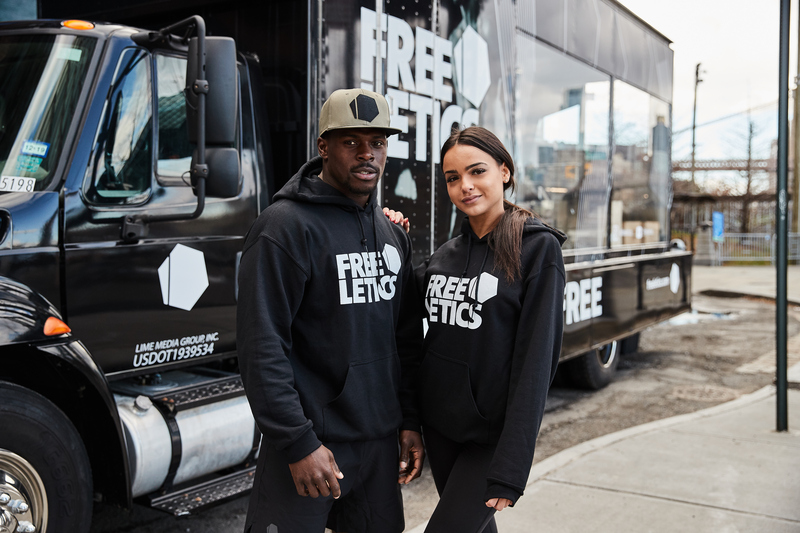 This week, the fitness app Freeletics launched the ‘Dare to be Free’ Truck that will be making stops to numerous locations with athlete Christian Wade and model Lisa Ramos in NYC before touring the U.S. The 24-foot truck is a custom-built fitness space equipped with a self-run treadmill, squat rack, boxes, chin up bar, battle ropes, kettle bells and gym bench. The truck was launched with the purpose of providing additional motivation and inspiration for people to overcome the barriers to working out. This integrated global marketing campaign aims to break down the barriers to fitness and freedom enabling people of all abilities to lead fitter, healthier lives. Check out the the Dare to be Free Truck @Freeletics on Instagram, Facebook and Twitter or for more information on Freeletics, please visit www.freeletics.com.